Peridot, the birthstone of August, is a gem-quality variety of the mineral olivine which is an apt name for this rich olive green gemstone. With the same chemical makeup as olivine, it is rich in magnesium and iron. 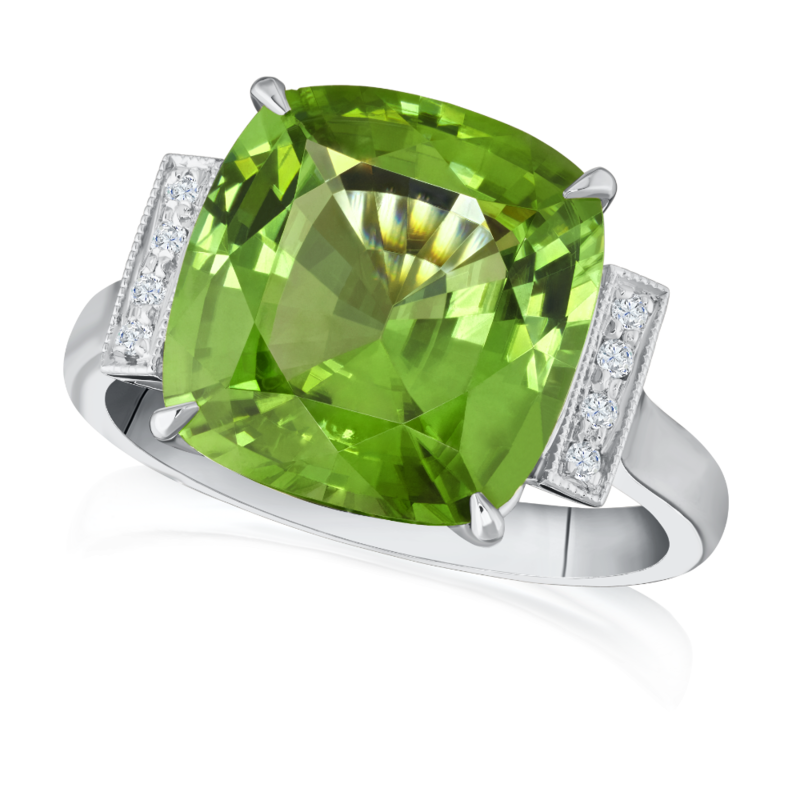 Peridot is one of the few gemstones that occur in only one colour, which it gets from iron, although depending on the amount of iron within the gemstone the intensity and tint of this olive green colour can change. In some extremely rare cases, peridot can be found in meteorites which have fallen to Earth. 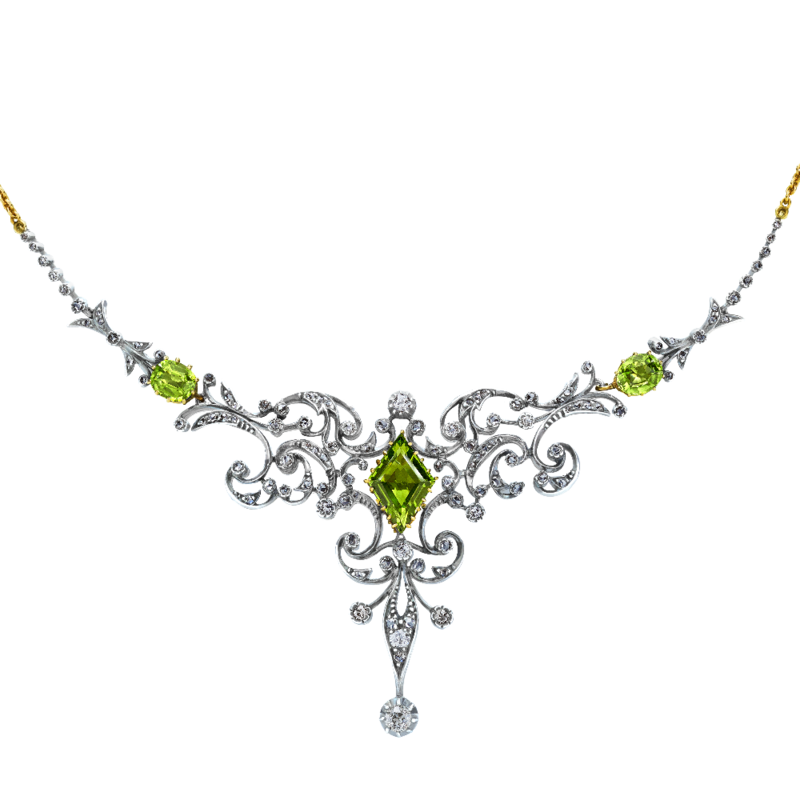 Peridot was called the ‘Gem of the Sun’ by the Egyptians, and they would set the peridot in gold to protect the owner from ‘the terrors of the night’. It was often a gemstone used to ward off evil spirits. Peridot was also mentioned in the bible under the Hebrew name of Pitdah. Although it is unlikely, it is rumoured some historians believe that the famous collection of emeralds belonging to Cleopatra were in fact Peridots. It wouldn’t be the first time that something like this has happened, for instance many people believed that extraordinary gems adorning the shrine of the Three Holy Kings in Germany’s cathedrals of Cologne were Emeralds, when they are in fact Peridot. 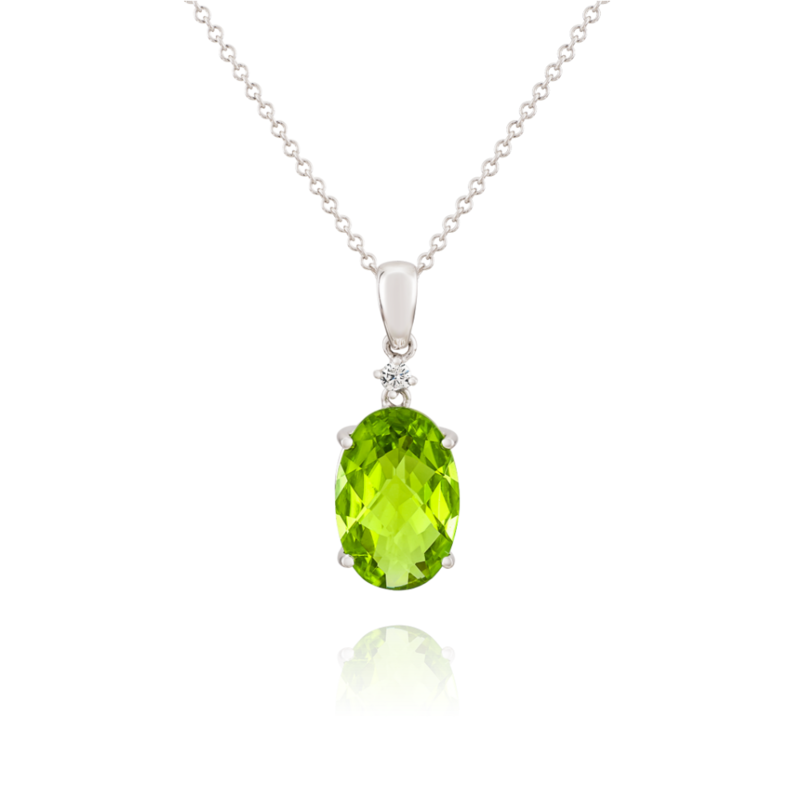 Peridot is a beautiful and very popular coloured gemstone which covers a vast price range, with a pendant set into 18ct white gold starting at £450, G Collins and Sons also stock some extraordinary Peridot cocktail rings.